From the warm blue sea to kids clubs and water-parks, you can find everything here to suit your family needs. Sardinia is a family destination that is enjoyed all year round. Families from Europe, Canada, Australia and Africa visit Sardinia each year for her beauty and family friendly activities like camping and an agriturismo stay. Numerous hotels, villas and apartments offer special room deals for large families. Most hotels also offer babysitting services for a fee (more information on holidaying with the family in Sardinia). 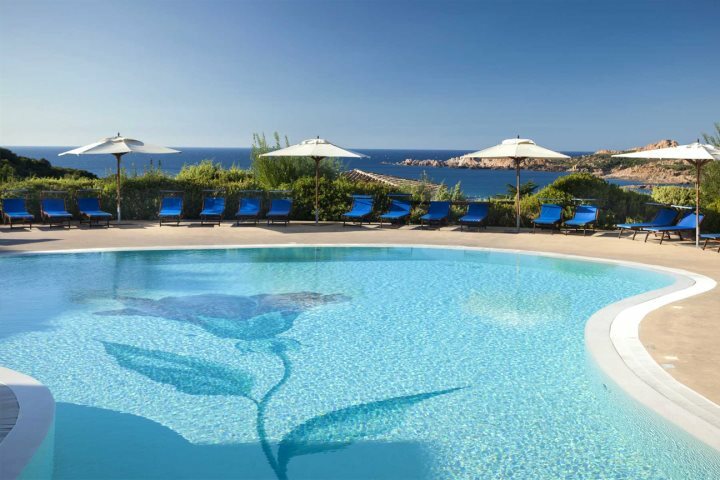 Costa Smeralda or The Emerald Coast is Sardinia’s most exquisite 55km of coastline in Europe. Exclusive golf clubs, stylish bars and nightclubs, helicopter and private jet services, stunning white sandy beaches, affluent visitors: celebrities, sports heroes, business leaders and politicians. Shopping, eating and relaxing are at your fingertips in Costa Smeralda. Looking to unwind from the hectic city life but the beach is not your thing? 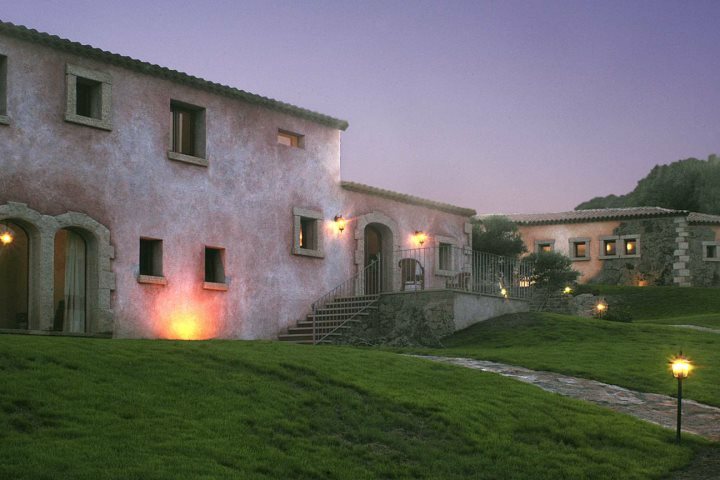 Why not head into the rugged Sardinian mountains and stay at an agriturismo. An agriturismo is a farm restaurant which often offers lodging. Their menus are strictly local Sardinian foods which are grown and raised on the farm. I prefer to eat at an agriturismo over a restaurant when dining out. The food is fresher, more flavourful and locally produced. Be sure to try the local digestive: mirto. Do you need to unwind after a busy year in the office? 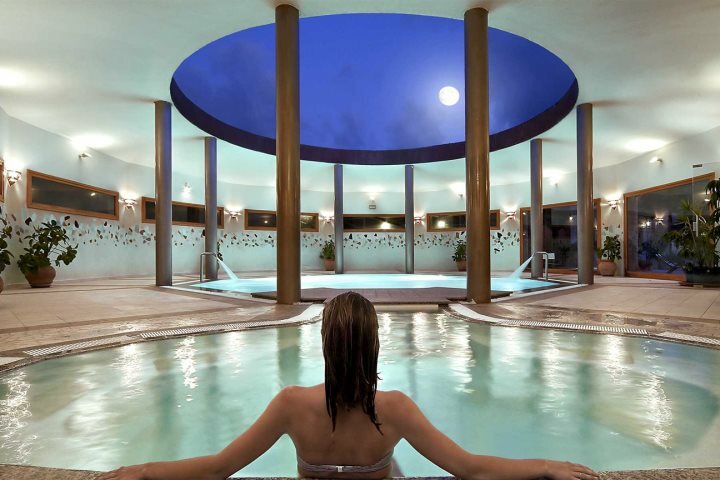 Do you want to surprise your spouse with a relaxing vacation in Sardinia? In the north-western part of the island lies the Hotel Marinedda Thalasso & Spa. You don’t need to be a guest at this resort to enjoy the soothing benefits of the spa treatments. The spa is complete with a half indoor sea water pool with hydro massage, cardio gym, Turkish bath and saunas, scrubs, rubs and wraps. Thai massage, face massage, hot stone massage, reflexology, treatments for two, mani’s, pedi’s and so much more! Every month there are festivals held throughout Sardinia with the summer months being the busiest time of year, and full of spectacular events. Some festivals worth checking out: Cavalcata Sarda held every May in Sassari, Sardinian Reggae Festival held annually the last weekend in July, Festa della Birra held throughout various communes in Sardinia during the week of ferragosto (August 14-20), San Costantino held the first weekend in July is a ritual horse race through the town, the most popular being in Sedilo (most communes have moved the race throughout town to sporting stadiums or large cordoned off areas in the mountains, due to danger). From windsurfing to horseback riding, Sardinia is your athletic gem in the Mediterranean. Whether you play or prefer to watch, Sardinia is well equipped for the jock in you. Rock climbing, yachting in Costa Smeralda, surfing at La Marinedda, hiking in the rugged mountains, swimming in the clear blue sea, golf for the master, fishing for your evening dinner and popular dive centers all around the island cater to the athletic you. To the north Olbia and Alghero airports, in the south we have Cagliari airport. AirOne, Easyjet, Alitalia, and Meridiana are just a few of the airlines that connect Sardinia to the rest of the world. If you don’t like to fly then Sardinia offers ferry service from many ports in Italy, Corsica and Northern Africa. Sardinia is filled with a beautiful mysterious culture. There are over 2000 ancient Nuraghi (stone huts) still standing, an ode to the strength of the Sardinian people. There still lie ancient villages which practice age-old customs, ‘Nora’ being said to be the finest in ancient culture, even today. For more information on the history of Sardinia please click here: Tharros.info Sardinia. 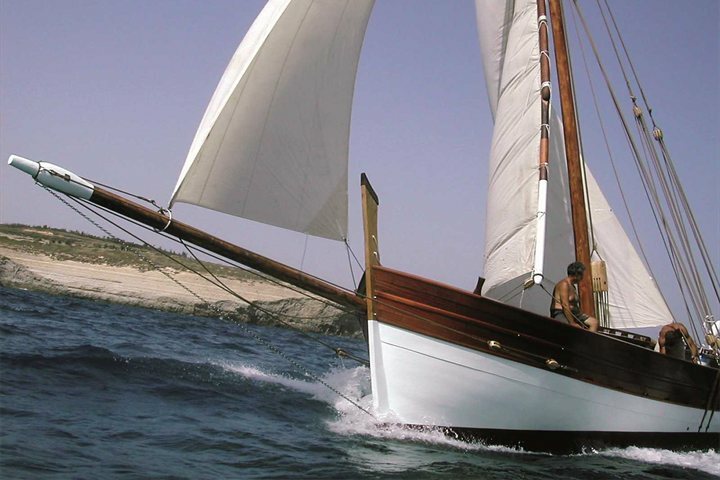 This site has a wealth of fantastic information on Sardinia, her culture and her history. They say… Italian food is the best in the world. But have you tried Sardinian food? The national dish of Sardinia is the suckling pig, and when cooked right, it turned this sorta-kinda vegetarian into a meat-eater. Slow cooked by camp fire or oven spit, with myrtle to incense the meat, this dish is a must try while in Sardinia. Local cheeses are pungent and sweet, the best being local pecorino and ricotta - out of this world. Sella & Mosca in Alghero is Europe’s largest vineyard and produces the best of Sardinian wine. Cannonau is a deep, ruby-red wine with strong personalities and is symbolic to the Sardinian reds. May I suggest a glass of Medeus 2000? Let’s not forget the Seadas! With over 1800km of unspoilt pristine coastline, Sardinia will leave you breathless. Whether you like to sit on the warm sand and exfoliate, or swim in the azure sea, Sardinia is the place to be. La Pelosa Beach in the north is one of the most popular beaches in Sardinia. It’s a small natural oasis and a breathtaking paradise. Tinnari lies a few kilometers from Isola Rossa. Tinnari is a stunning two half-moon bay, rock beach. Access is by foot, boat or quad. Tinnari is one of Sardinia’s secret beaches. Find it! There are two main beaches in Isola Rossa: Spiaggetta del Porto and Spiaggia Longo. 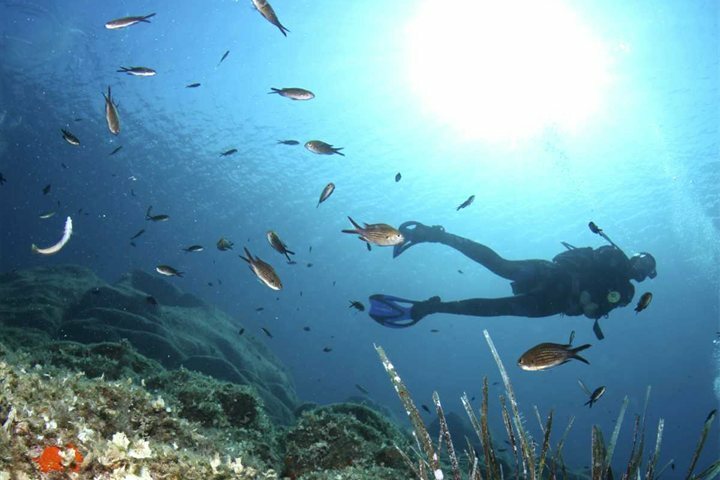 The fresh clean waters are a magnet for scuba divers, snorkelers and swimmers. Here you will find unspoilt shorelines, family friendly restaurants and villas, and a watch tower which was built in the 1500′s. To read the original article, please visit Jennifer Avventura at My Sardinian Life and you can also follow her on Twitter @JennyAvventura.